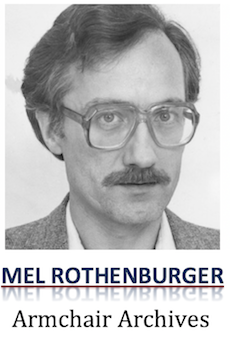 A column by Kamloops News editor Mel Rothenburger published May 21, 1985. I WAS ACCUSED in a letter to the editor the other day of writing an editorial based on ignorance. A woman named Kathy Larue Frazer came into the office and asked me if I had a copy of the Catholic bishops’ report in which the bishops blasted the department store industry for exploiting its workers. No, I hadn’t, I said. I had read wire service stories on it, I said. A couple of days later I got the letter from a fellow named John C. Frazer, saying I was writing editorials on things I hadn’t even read. You want me to read reports? Okay, how about “Competitiveness and Security Directions for Canada’s International Relations, Presented by the Right Honourable Joe Clark, Secretary of State for External Affairs.”? This report, although it has a gray cover, is called a “green” paper on directions for Canada’s international relations. Okay. Under “National Attributes” we learn what kind of a country we live in. “We are a country of distinct regions,” it says. True. Who from Sahali doesn’t have trouble understanding why Barnhart Valians are as they are? “We are at once North American and not American.” This might be argued. “We are an Atlantic nation.” I knew that already. “We are a Pacific national as well.” The hell you say. Finally, we are an Arctic nation.” Any American can tell you that. “No other country has our particular set of national attributes.” Mr. Rogers would love that one. If we flip to page 29, that suspicion is confirmed. “The world is changed and so is Canada, it says. And “From 1970 to 1982 total industrialized country exports to developing countries rose from (U.S.) $42 billion to (U.S.) $291.6 billion, while, over the same period, developing country exports to the industrialized world rose from (U.S.) $404 billion to (U.S.) $322.6 billion. If that isn’t as incredibly exciting to you as it is to me — and, probably, Kathy and John LaRue Fraser — you might try a tactic common to reporters and even to intelligent people. In every report there is something called a “summary.” In that summary, usually a page or two long, dozens and even hundreds of pages of graphs, statistics and pollical phony-baloney are turned into English. In other words, the write of the report finally gets down to the point. I’ve always thought that summaries should be put at the beginning of reports, and the rest of the reports deleted, but for some reason, nobody wants to do this. So, Joe’s case the summary is on page 43 between the French and English versions. The summaries of all that stuff on the previous 42 pages is three paragraphs long. By strict coincidence, that’s exactly what Canadian Press reporter Leslie Shepherd wrote in a story on page 2 of The News last week. Obviously, Leslie knows how to read a report — go right to the summary. 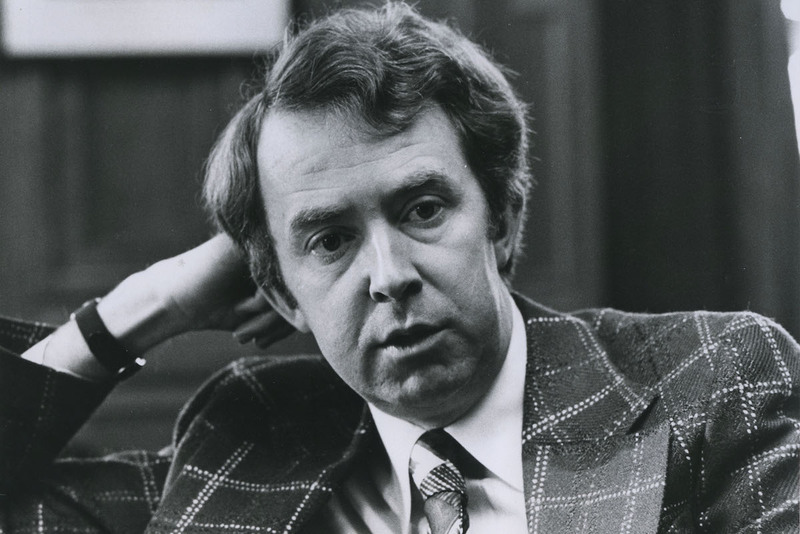 If I was going to write an opinion on Joe Clark’s green paper, I would say something about how it really should have been called a gray paper, because it doesn’t say much. Unfortunately, others have already done that. They read Leslie Shepherd’s story. If you think you are more informed after reading this column, about “Competitiveness and Security,” good for you. You are welcome to make use of it during cocktails. If, however, you really want to get into the guts of the report so that you can feel absolutely confident in stating an opinion on it, you can have my copy.